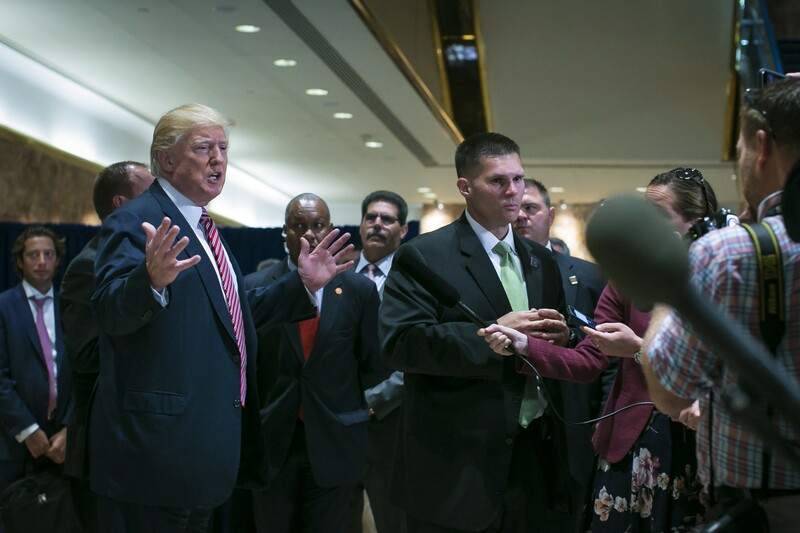 President Donald Trump at a news conference in the lobby of Trump Tower in Manhattan, Aug. 15, 2017. Under fire for defending racist activist groups, Trump said on Twitter on Aug. 17 that he was “sad” to see United States’ history torn apart by the removal of “our beautiful statues and monuments,” echoing a popular refrain of white supremacist groups that oppose the removal of Confederate monuments. WASHINGTON — Under fire for defending racist activist groups, President Donald Trump said on Twitter on Thursday that he was “sad” to see United States’ history torn apart by the removal of “our beautiful statues and monuments,” echoing a popular refrain of white supremacist groups that oppose the removal of Confederate monuments. “Sad to see the history and culture of our great country being ripped apart with the removal of our beautiful statues and monuments. You can’t change history, but you can learn from it. Robert E Lee, Stonewall Jackson - who’s next, Washington, Jefferson? So foolish! Also the beauty that is being taken out of our cities, towns and parks will be greatly missed and never able to be comparably replaced!” Trump posted on Twitter. Officials in several states have called for the removal of public monuments that have become symbols of the Confederacy. The Twitter posts were the latest in his escalating remarks that critics contend validate white supremacist groups who led a bloody rally over the weekend in Charlottesville, Virginia. The proposed removal of a statute of the Confederate Gen. Robert E. Lee from a public park in Charlottesville spurred the demonstrations. On Saturday, the day of the protests, Trump did not condemn neo-Nazis or white supremacists in his public remarks about the violence, prompting criticism that his omission suggested support for the racist groups. An Ohio man with white supremacist ties is accused of driving his car into a crowd, killing one woman and injuring 19 other people. Two days later, Trump bowed to pressure and said racism was “evil” and named racist organizations in his follow-up remarks about Charlottesville. But on Tuesday, Trump reverted to his initial public posture and blamed “both sides” for the violence. “Because of the manner in which you have handled the Charlottesville tragedy you are now receiving praise from some of the most racist and hate-filled individuals and groups in our country. For the sake of our Nation — as our President — please fix this,” Graham wrote on Twitter.